Glenrothes and sherry are always a lovely match, and for this bottling we opted for an extra boost by using a fresh Oloroso cask from our trustworthy bodega for the last four years of maturation. The result is intense and vibrant! Nose and palate are winey, powerful, deeply influenced by the dry Spanish wine. Dried raisins, dates, juicy peaches and the typical nutty character of Oloroso are immediately evident. At the palate the first impression is sweet, but the sweetness is immediately taken over by extreme dryness and a very mineral character, becoming peppery and mouth-wateringly citrusy in the aftertaste. 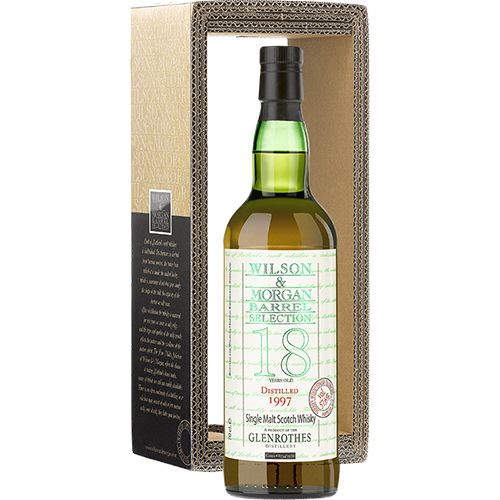 Not a tannic and dark chocolate-laden sherry monster, but a very crisp and fruity one, a style that suits the whisky from this distillery best.